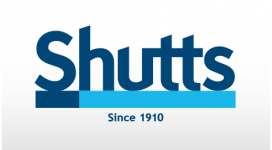 Shutts & Bowen LLP is a full-service law firm with a deep connection to Florida's history, a commitment to excellent service for our clients and community, and a focus on diversity in the workplace. For more than 100 years, Shutts has been opening doors to our clients with sophisticated, cutting-edge legal skills from Florida's top legal talent. Shutts employs approximately 300 attorneys in 8 offices throughout Florida who focus on more than 30 distinct practice areas, including litigation, construction, financial services, hospitality, insurance, real estate, taxation and trusts and estates. At Shutts, we are committed to offering sophisticated legal services efficiently and responsively. We work tirelessly with businesses and individual clients, as well as with referring national and international law firms and companies. We always strive to provide the highest degree of professionalism and passion for our work.